When it comes to playing bingo online, you don’t always want to put a lot of cash into your account but you still want those bonus funds. We’re looking at the top 5 pound deposit bingo sites that let you claim their offers with a minimum deposit. mFortune treats you to a £5 no deposit bonus, with NO wagering requirements. Join Big Tease, deposit £5 - play with £30! We're not teasing! This bright and colourful bingo site will give you a 100% deposit bonus, even if you do choose to just deposit £3! Start spinning as soon as you join! 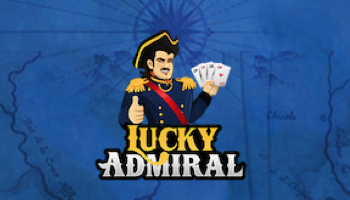 Grab 50 free spins - no deposit needed right away! Check out the terms and conditions of these offers on their sites before you claim. What Kind of Bonuses can you get for £5? When you access a bingo site, you will most likely be accosted with banners and information about their first deposit offer. Anywhere from 100% to 500% can be common for first deposit bonuses. Always make sure that a £5 deposit will mean you are eligible for the bonus, as the minimum may be £10. Then take a look into the wagering requirements that will apply before they turn into cash. This bonus is similar to the bingo bonus funds that we have described above but this £5 is absolutely free! 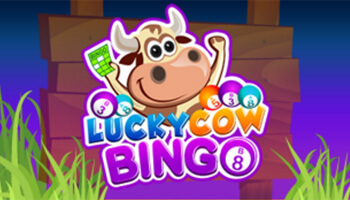 That’s right, there are some bingo sites that will offer bonus cash with no deposit necessary. This is commonly offered as £5 but players should be aware that the wagering rules for these will often be higher. However, we are starting to see less and less £5 no deposit offers as they are quite expensive for bingo operators to give away to every new customer. However, there are some sites that continue to offer them so be sure to have a scan about the bingo market if you’re interested in some free bonus cash. These can be given out with bonus funds or just on their own. 10 to 100 free spins can be expected from some sites as part of a welcome offer for players that want to deposit £5 get free spins. These have more terms and conditions than bonus funds, as there are specific games to play on, set wagers and even caps on how much you may win. Some sites are beginning to change their welcome offers and offer a chance to spin a prize wheel with the chance to claim up to 500 free spins on a single spin. However, a lot of these offers require you to deposit £10 so be sure to check if the minimum accepted deposit is £5 before claim. There can also be reload bonuses that you can claim with a £5 deposit. These can be lesser than a first deposit bonus but still well worth claiming. Be sure to read into the wagering requirements of any offer before you choose to claim it. These can include both bingo bonus funds, game bonuses and free spins – each of these will have their own terms and conditions. Of course, every site is different and reload bonuses can take a variety of forms and structures. A lot of reload bonuses can be claimed from a number of bingo operators by depositing £5. You will most commonly be offered 50%, 100% and 150% reload bonuses. This offer is dependent on how much you play and lose on a game. The percentage of these can be quite low, so if you’re only playing with a £5 deposit, then you may not get much back. There’s usually a time frame that you must play these games within and there can even be a minimum deposit required. A lot of cashback promotions are offered as part of a VIP scheme and this means that you will have to rise up the ranks on a site before you are eligible for cashback. However, a lot of these offers may not offer too much value to the player due to the £5 that is being claimed so weigh up the pros and cons to see if it is worth it. When is it Best to Deposit More? For percentage based offers, like a deposit bonus, you may be better depositing some additional funds to get more funds. This is particularly true if a first deposit offer is much higher than a second or third one, as you’ll want to help yourself to more when you can. Are Bigger Bonuses Always Better? In terms of wagering requirements, bigger bonuses aren’t always better. Some players opt not to accept bonus funds and others only stick to smaller amounts, as they’re easier to wager and turn into cash. If you’re just interested in having fun then you can just go for as high a bonus as you like. What Should You Look Out For When Claiming Such Offers? Things aren’t always as simple as they first appear, so here’s what you need to keep an eye on with these offers. While some sites let you claim a bonus with a £5 deposit, it might not be as high as if you deposit £10. It might make sense to deposit more money on these sites so that you can have a larger deposit bonus. Some of this is an obvious sales tactic but if it means that we get more to play with then we’re not complaining. Make sure that the minimum deposit for the offer is £5, not the minimum deposit for the site. If you fund your account with a fiver and miss out on the bonus then you won’t be able to claim it later, as you’ll have already made your first deposit. It’s one thing to claim a brilliant bingo offer from a deposit 5 pound bingo site, but it’s another to actually be able to withdraw your winnings from one. Paying attention to the terms and conditions of a site will tell you everything that you need to know about their bonus offers. This includes how many times you must wager it before it turns into real cash that you can withdraw. While you may think that these are similar on most sites, even on networked sites these can be highly variable. A minimum deposit on the bonus offer is also very different to a minimum deposit you must make before you can withdraw. On some sites, this can be as high as £30 so you would need to fund your account with a fiver six times before you could withdraw. Not all bingo sites with 5 pound deposit amounts are created equal, as the types of room that they boast can be quite different. Top Tip: If you want to play for longer with the amount that you have, then look for a site with a lot of penny bingo games. Then, your funds can last for so much longer! 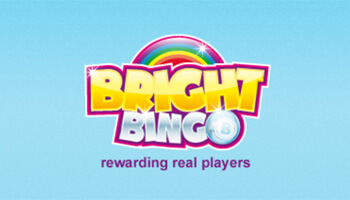 It’s also worth considering if the site has any free bingo on the go, as these games are usually open to most players. Playing in a learner room will allow you to add to your balance, but regular free bingo will ensure that your funds keep getting topped up. 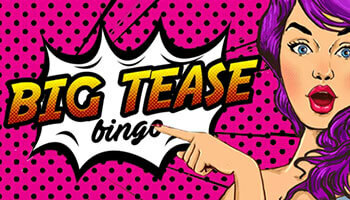 Big Tease Bingo £5 £30 x4 You must have at least £35 in your account to withdraw. £10 £60 x4 If you select games bonus on reloads then wagering requirements will be higher. mFortune £5 £10 None No wagering requirements means you get to keep what you win. £10 £20 None You can even play on progressive jackpot slots with your bonus funds. Bingo Hollywood £5 £30 x4 A minimum deposit of £5 must be made before you withdraw. £10 £60 x4 There's also a no deposit bonus and newbie room here. 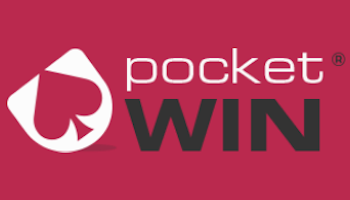 PocketWin £5 £10 None All exclusive games on this site, with loads of jackpots. £10 £20 None Tickets are cheap so you don't need to spend much to play. You’re investing less into the site, so if you change your mind and want to play elsewhere then you still have funds to do so. If you want to try lots of sites then £5 deposits mean you don’t have to spend lots on each one. Each time you top up, you have more flexibility in the minimum or maximum amount you wish to add. Some welcome offers can be claimed with just a £5 deposit. There are plenty of budget bingo games that allow you to get good value from just £5. The minimum spend for some bonus offers will be £10 and £5 won’t entitle you to anything. You may find yourself topping up your account more frequently if you’re using up these minimum deposits quickly. A lot of minimum withdrawals on bingo sites are over £5. Getting good value is one of key components of online bingo and you should always do your best to try and get the most for your money. Even though a £5 deposit is pretty modest there are some good ways to squeeze that little bit extra out of your £5. There are tonnes of ways to make your £5 go that little bit further. For example, you could play penny bingo games and slots or you could play games that cost 5-10p if you want a chance at a bigger jackpot. If you’re playing slots then plan out which games you are going to play in advance and pay particular attention to the return to player.  Try and find games that offer an RTP of over 95% and then you will be in for a good chance at a payout. PayPal – This free, reliable service allows you to pop a minimum of £5 into your account on most sites. Pay by Phone Bill – Phone bill deposits are designed to be quick and easy, so they’re ideal for making smaller deposits. Neteller – Some sites also accept this eWallet as a way to deposit smaller amounts. This is slightly less common, as the site still has to pay a transaction fee. Wire Transfer – This method will not suit every type of player but you can access bingo sites that allow you to deposit via bank transfer. Once setup, this can be a great way to send £5 to your bingo account. Boku – A mobile payment service that you can use to deposit via mobile phone. A lot of bingo sites are mobile-friendly and this is an excellent mobile deposit method to consider that offers mobile bingo with £5 deposit. Get out there and get playing without splashing out thanks to these bingo sites. Make your money last with penny games or go all out with the jackpot ones, it’s up to you!